Q1: Are you doing any Google advertising for your properties? If so, how much of your ad budget goes toward GOOG vs other sources? Q2: How are you measuring the success of your Google ads? Are you looking at clicks? Conversions? Applications? All of the above? Q3: What types of Google ads tend to work the best for you? Are you spending more on “broader” keywords to compete with ILSs? Q4: How do you figure out how much to spend on PPC ads? Do you have a formula you use? Is it determined by occupancy needs? Q5: Have you tried other Google ad products (banner ads, remarketing, etc.)? Have you found them to be effective? 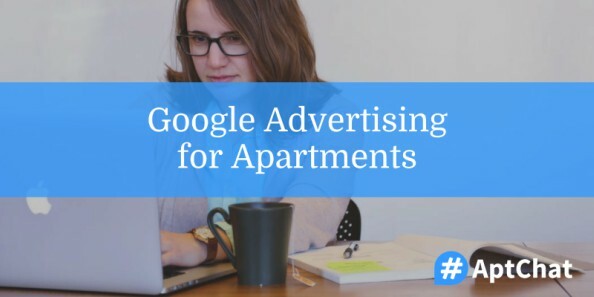 Are you doing any Google advertising for your properties? If so, how much of your ad budget goes toward GOOG vs other sources? @AptChat It depends on the return. We’re fluid with our budgets. It’s all about the leads generated. @AptChat CPC bids are adjusted weekly based on impression share and avg position. Budget monthly based on leads and conversions. How are you measuring the success of your Google ads? Are you looking at clicks? Conversions? Applications? All of the above? What types of Google ads tend to work the best for you? Are you spending more on “broader” keywords to compete with ILSs? How do you figure out how much to spend on PPC ads? Do you have a formula you use? Is it determined by occupancy needs? Have you tried other Google ad products (banner ads, remarketing, etc.)? Have you found them to be effective? Our next #AptChat is slated for Tuesday, April 11, 2017 at 12 pm Eastern, and we’ll be discussing the future of social media for apartments. In the meantime, be sure to sign up for #AptChat updates to get these recaps and more delivered straight to your inbox!